That all changed a few years ago when I started baking rich, delightful real deal cookies again to heal my broken heart. One day after biting into one of my homemade ginger molasses cookies — I knew that they would be a favorite forever on in my life. Isn’t it funny how your tastes change add you get older and begin to appreciate and acknowledge different flavors and spices? Today I bring you a new recipe that’s meant to be a healthier and paleo version of classic gingerbread cookies. Over the past year many of you have requested more baking recipes that are made with either coconut flour or almond flour — and today your wish is my command. 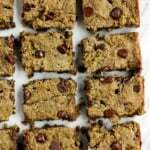 Even if you aren’t paleo/grain free, these cookies are fabulous. The icing is totally optional, but I prefer my cookies to always be frosted (and maybe with some sprinkles too). These gingerbread cookies would be great to make with kids — and they’re incredibly easy to make and roll out. 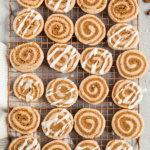 I hope you enjoy baking these with your family or for your friends this holiday season. You won’t be disappointed! 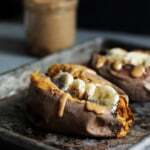 If you make these, please leave a comment and rate the recipe below. You can also snap a photo and tag #ambitiouskitchen on Instagram! 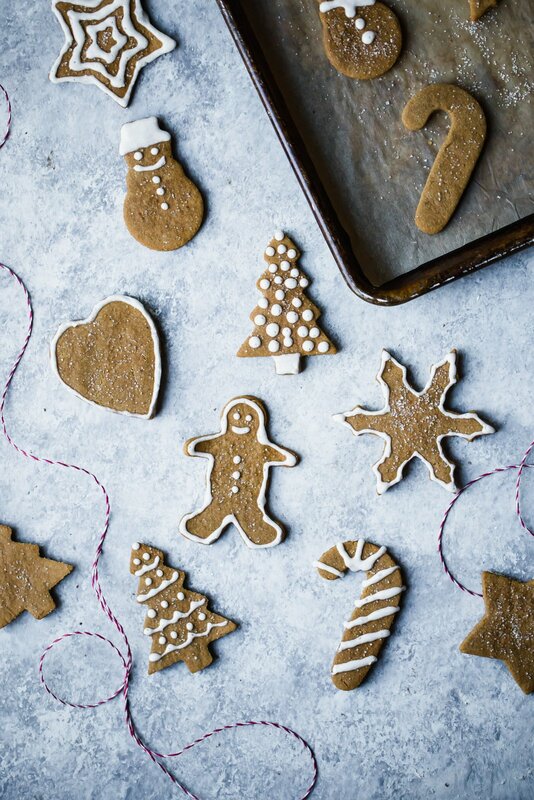 Adorable paleo gingerbread cookies made with coconut and almond flour! 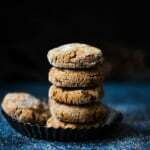 These grain free and gluten free cookies are the perfect treat during the holidays. Next add in almond flour, coconut flour, baking soda, spices and salt; mix well to combine and form a dough; sometimes using clean hands might be necessary. Let the dough rest for just a few minutes. Place dough between two sheets of parchment paper on a flat even surface. Roll out the dough so that it's approximately 1/4 inch thick. Use cookie cutters of choice to cut the dough out and then place each shape on your prepared baking sheet about an inch apart. Sprinkle with organic cane sugar if you'd like then place on an ungreased baking sheet. Bake for 8-10 minutes. Allow cookies to cool on cookie sheet for 5 minutes before transferring to a wire rack to finishing cooling. Makes about 18 medium sized cookie shapes. 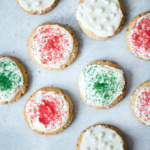 To make the icing: Once cookies have completely cooled mix the icing ingredients together in a medium bowl until smooth (an electric mixer also works well). Transfer to a pastry bag to pipe icing onto cookies. I normally use a Ziploc bag and cut a VERY small hole in the corner after I've added half of the frosting to the bag, then decorate! 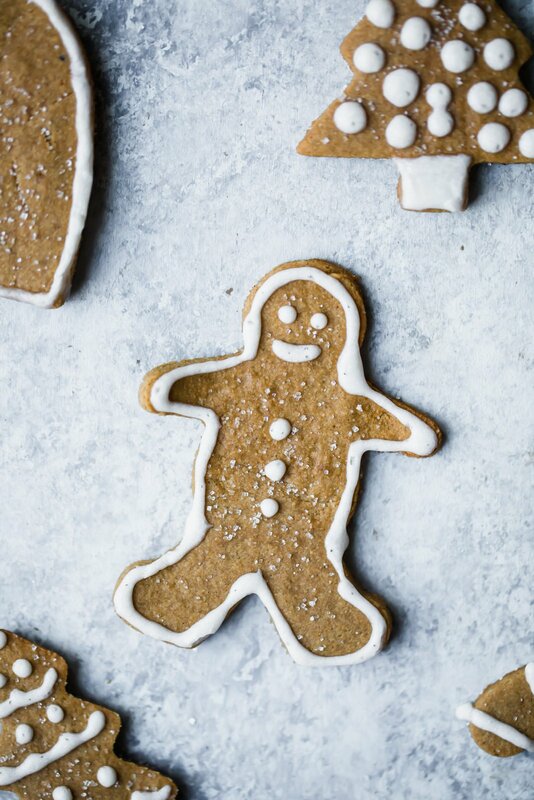 28 Responses to "The Cutest Paleo Gingerbread Cookies"
YAY! 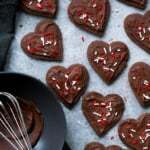 I’ve been looking for a good grain/gluten free gingerbread cookie recipes! GREAT timing! I They look so cute….and yummy! 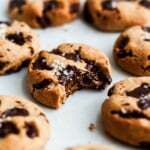 I can’t wait to make these…hubby is going to love I’ve found a new cookie recipe he can eat. Perfect! I hope you guys love these!! Oh so cute and perfect! I’ve been looking for a recipe like this! 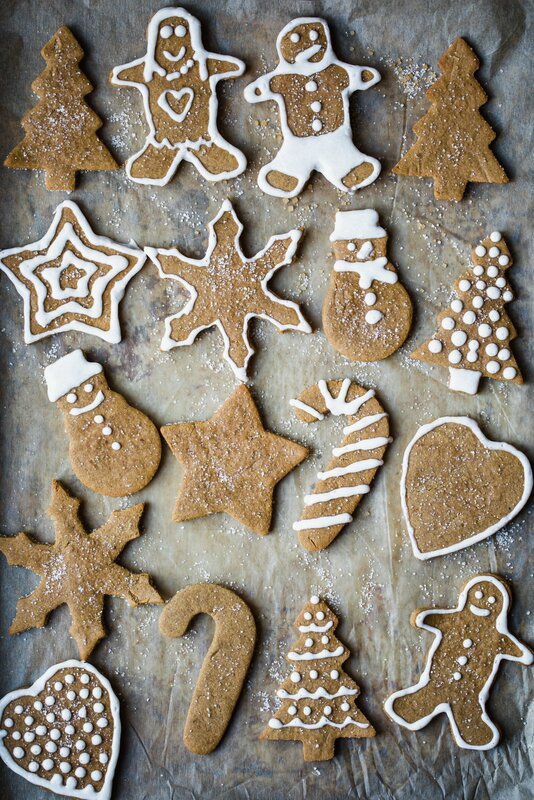 Love gingerbread, can’t wait to try them. Wondering if you could substitute maple syrup for the sugar? Or butter for the coconut oil? I would recommend sticking with sugar to maintain the consistency, but butter should work just fine in here! These cookies turned out Great! Will make them for years to come. Do you know if this cookie will hold up for a gingerbread house? Will it be crumbly like so many grain free baked goods? Does it come out hard and crisp or soft and chewy? Does it hold it’s shape when baked or does it sort of puff up? Sorry for all the questions but I’m really hoping to make a gingerbread house this year! Sorry, they’ll be too soft! I made these last year and they turned out great! Making them again this year – a Christmas tradition with my daughter! Would the dough work okay if I make it the night before and roll it out the next morning? I think so! Should be delicious! Followed recipe exactly as written, no icing, and sprinkled coconut sugar on top before baking. Can’t wait to try these! Would it work if you made the dough ahead of time (the day before baking) and just let it sit out for awhile before rolling and baking? Trying to get a jump start 🙂 Thank you! Would almond meal work in this recipe instead of almond flour?